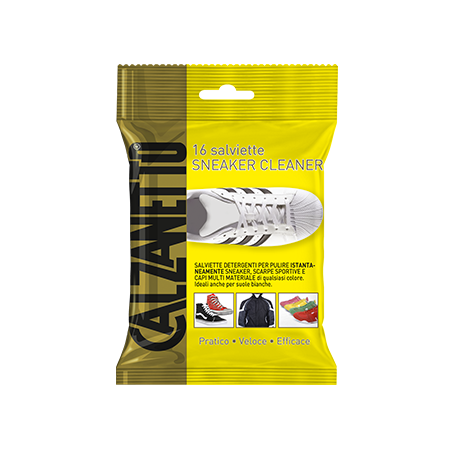 To instantly clean Sneakers, Sport shoes and multi-material garments of any color. Cleansing wipes to instantly clean canvas, synthetic leather, nylon, vinyl, plastic, rubber, technical fabrics and white soles. Rub a wipe on the shoe, particularly insisting on any stains. In the presence of delicate or colored materials, try first in a hidden corner. Close the package well after use. 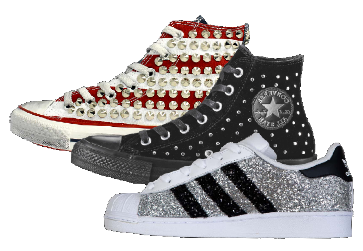 Surfaces of any color in canvas, synthetic leather, nylon, vinyl, plastic, rubber, technical fabrics and white soles. The wipe releases detergent active ingredients, allowing you to easily remove dirt.